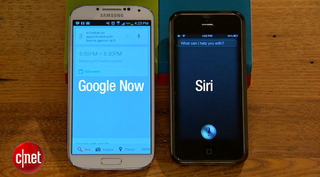 I've been asked a few times why I swear by Google Now/Android instead of Siri/Apple (most of my friends are iPhoners). Most of the time when I'm asked this, I'm not expecting it and become flustered trying to get all of the reasons packed into a response. Siri and Google Now are close when it comes to their voice capabilities (Siri's even better because she has a sense of humor), but the cards set Google Now apart for me. I don't always want to hear a robot voice and I don't always want to have to ask for information that I need every single day. When I wake up in the morning or check my phone/tablet/browser throughout the day, I see my Google Now widget. On it there are cards that tell me information I want to know without even having to ask for it. For instance, any morning I'll wake up and see the weather, what traffic is like on the way to school and how long it will take me to get there, as well as exactly where the accidents are on the highway which helps me choose my entry/exit strategy, the state of the stocks I'm watching, which of my favorite shows will be on tonight and what time, and what the Ravens scored last against whatever team they were playing, all at a glance. When I'm done with a card I swipe it away. If I've been using Google to search something lately, I may also have a card pertaining to the subject I was searching, which can be handy in the case of, let's say, "Vegetarian Recipes" so I can plan my grocery list accordingly or "Moto X vs. Moto G" if I'm looking to purchase a new phone. These cards are very intuitive because Google uses the information it gathers from your searches and your locations to bring information that's actually relevant to you. I find it handy and I like that I can feel like my little robot knows me that well. Google Now is completely hands free on my Moto X. My phone screen will be off with the phone asleep, and it will be on the table next to the bed, or on my desk while I'm working, or in the passenger seat while I'm driving, and I can just start talking to it. It wakes right up, again, 100% hands free. This is really handy when I need to make a call or send a text behind the wheel, because it also limits the use of my eyes as well. Google Now isn't just integrated on my phone and tablet, it's also integrated into my Chrome browser on my Macbook, so I have access to it on ALL of my devices, android or not. Google is taking Now to the next level with wearables, which I as a consumer and aspiring software developer am genuinely both curious and excited about. It's easy to assume Apple is working on wearables behind the scenes as well, but Google is in the forefront and transparent with its innovation efforts, which holds my interest as well as my loyalty to the product and the company. Since I've started using it, Google Now has been in a constant state of evolution, adding more cards and capabilities at a rapid pace to make it better and better. Apple, from what I can tell, isn't quite as aggressive with Siri's development, and probably for good reason because they have so many products on their hands that bring in far more income. Google is placing its bets with wearables and Android completely on the success of Now, so I can depend on it to stay great and keep getting better for a while because I know the company is dedicated to it. When it comes to computers, I love Mac and Apple has without a doubt done the MOST excellent job providing a reliable and stylish desk/laptop experience. When it comes to mobile, I love Google Now.